Ninja Mega Kitchen BL770 Fits perfectly underneath cabinet! 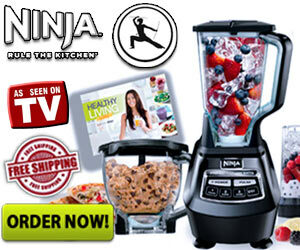 In the elite line of Ninja brand of blenders, the Ninja Mega Kitchen BL770 wears the black belt. This model offers a perfect mastery of every function that it is called upon to perform. Behind the strength of its 1500 watt/2 horsepower motor and all of the included attachments, the Ninja BL770 offers professional caliber execution in the areas of Juicing, Food Processing, Frozen Blending and Dough Mixing. The Ninja Mega Kitchen offers the versatility to prepare items for an entire group, or just for you. Owning this will put you on the fast track to a healthier lifestyle and easier food preparation. The Ninja BL770 offers professional caliber execution in the areas of Juicing, Food Processing, Frozen Blending and Dough Mixing. Now you have the versatility to prepare items for an entire group, or just for you.